For the one-of-a-kind bride, Sasha is the epitome of effortless style. 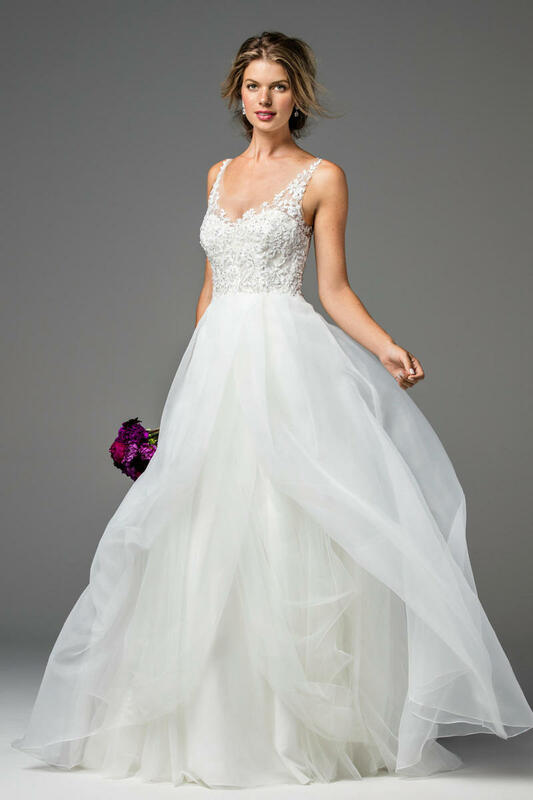 Exquisite beading on beautiful Illusion Tulle will sparkle and shine, while the skirt's sweeping layers of Matte Organza and Tulle will have you looking for any excuse to twirl through the night. Sweep train.